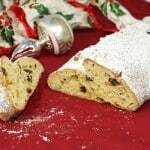 Pan de Jamon is a traditional Venezuelan Christmas bread filled with ham and olives. Its robust flavors are a unique tribute to Venezuelan culture. Pan de Jamón (pronounced PAN de HAM-on) is a savory rolled bread that is a staple on Venezuelan tables during the December holiday season. This bread is thought to have originated in 1905 in Caracas, the capital of Venezuela, at Gustavo Ramella’s Bakery. Gustavo was looking for a way to use up leftover pieces of holiday ham, so he rolled them in a soft and fluffy dough and baked it! The result was a savory, rolled bread that exploded in popularity. As it grew in popularity, people began to make their own adaptions on the bread, and ham with olives and raisins became the most popular version. 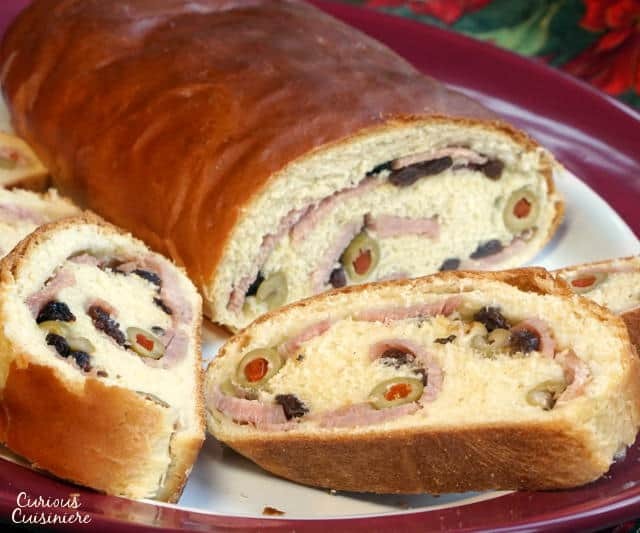 A simple filling of ham, raisins, and olives. That’s all that is traditionally rolled into this soft and slightly sweet dough. Honestly, when we first heard about this combination, we turned up our noses a bit. Really? Salty olives and sweet raisins? 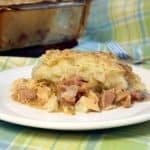 Less traditional versions had you use ham and cheese. Now, that sounded tasty. But, olives and raisins? It was almost enough to turn us off from the recipe completely. But, we decided to stick it out. 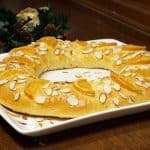 We figured, the Venezuelans must be on to something, if the bread is so wildly popular for the holidays. And, we are here to tell you, that they really are. 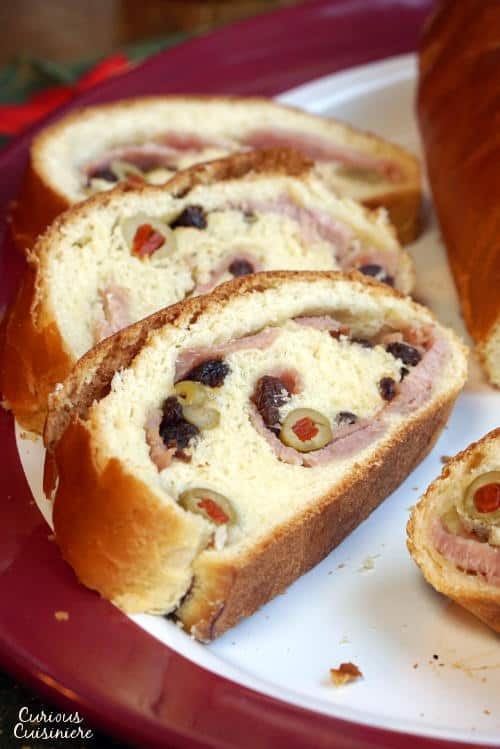 Something about the way the sweet raisins and salty olives blend together with the sweet and salty ham makes the flavors in this roll INCREDIBLE. 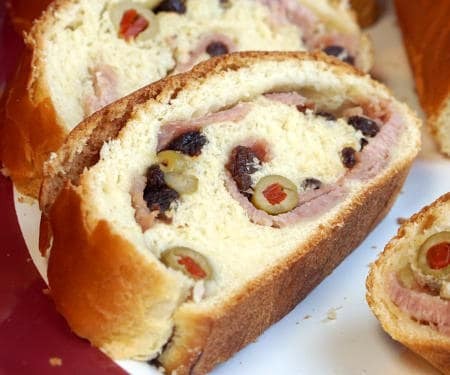 The amount of olives is just enough to give a pleasant saltiness to the bread, and then, as you bite into your slice, you are greeted with the familiar flavor of ham with a little extra pump of sweetness from the raisins. 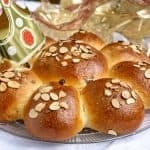 As long as you like olives and raisins on their own (those can be really dividing ingredients for some people), we’re pretty sure you’ll find the flavors of this roll surprisingly wowing. This bread comes together incredibly easily. The dough is soft and rich. (You can’t go wrong with milk, eggs, and butter!) And, it rises nicely. For the filling, you can use any sliced ham you have on hand. We used leftovers from a ham dinner, but deli sliced ham would work as well. 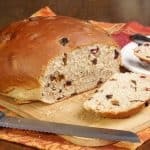 Some recipes will have you soak your raisins, but we chose not to because we wanted those raisins to soak up any excess moisture that was released from the ham and olives while the bread baked. 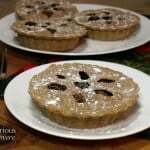 We were very happy with our decision, because the inside filling was perfectly dry and the raisins were nice and plump. 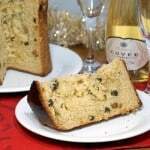 We read that it is traditional to make this bread ahead of time and eat it either slightly warm or chilled. So, we resisted slicing into the (wonderfully fragrant) freshly baked loaf. And, we were glad we did. A fresh loaf of bread can be a bit tender, and letting this bread cool almost completely before serving it gives the filling and the roll time to set up. By the time we sliced it, it sliced beautifully, no tearing or erupting filling pieces, leaving us with perfectly decorated, spiral slices. In a medium bowl mix the warm water and sugar, until the sugar disolves. Sprinkle the yeast over top and set aside for 10 minutes, until the yeast is foamy. Place the flour in a large bowl. Add the yeast mixture, milk, beaten eggs, butter, and salt. Mix until a dough comes together. Turn the dough out onto a lightly floured surface and knead for 8-10 minutes, until the dough is soft and smooth. Place the dough in a clean bowl, cover it with a damp tea towel and let it rest in a warm, draft free place for 1 ½ -2 hours. Once the dough has risen, roll it out into a rectangle, roughly a ½ inch thick (10x15 inches). Cover the dough with the ham slices, arranging them almost to the edges. Sprinkle the raisins and olives over the ham. 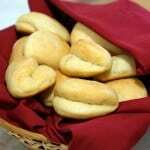 Once the fillings have been layered over the dough, tightly roll the dough up from the long edge. Tuck the edges under the roll and place it, seam side down on a baking sheet. Brush the loaf well with an egg wash of 1 egg white beaten with 1 Tbsp water. Let the dough rise, uncovered, in a warm, draft free place for 45 minutes to 1 hour. Near the end of this final rising time, preheat your oven to 375F. Bake the bread for 25-27 minutes, until the loaf is deeply golden and feels firm when tapped. Remove the bread from the oven and carefully transfer it to a wire rack to cool completely before slicing and serving. The bread will keep in an air tight container in the refrigerator for 1 week. Also, the traditional one has bacon, as part of the filling. Glad you enjoy it. 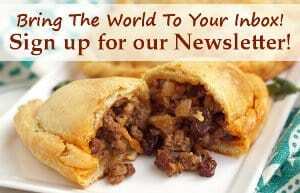 It will not be a Venezuelan holiday without Pan de Jamón and Hallacas. Bacon is always a welcome addition! I made this recipe … it was absolutely perfect … thank you so much !!! Can this recipe be doubled ??? We’re so glad you enjoyed this bread! This recipe should be able to be doubled no problem. Thank you for the recipe. The dough is perfect. My family in Venezuela also includes bacon, capers and a light drizzle of honey in our ham bread. It is absolutely delicious. 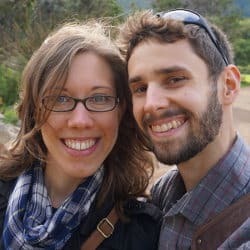 Those sound like a wonderful addition! We’ll have to give it a try! So glad you’re enjoying our recipe! Excellent!! one little correction. it’s not pronounced YAM-on but HAM-on the ‘J’ in Spanish is close to the H in English when it’s in words like House, Hinge, Howard, Hello. but a bit strong, like when you laugh (HAHAHA). Thank you so much for your note on the pronunciation Luis! We’ll get that updated! The only thing I do differently is five minutes before done baking pull it out, recoat with egg white and sprinkle with a little sugar and bake 5-7 minutes more. My Venezuelan friend says it is the best!